Many people have heard about dental implants which are external fixtures that are screwed into the gum and act as permanent solutions to missing teeth. 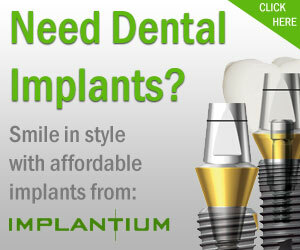 Now with ImplantPilot®, this is available with much more ease and far less patient discomfort. The procedure becomes quicker and less invasive due to new innovative keyhole surgery. ImplantPilot® uses the latest 3D technology to digitally plan each case beforehand, this enables precise and predictable treatment that is specific to each patient. Customised guides are then 3D printed to ensure accurate and controlled implant placement which means less time in the chair, reduced post-operative discomfort and there are no cutting of the gums or sutures required. The procedure is the only one of its kind and is brought to the UK by established Implantologist Jason Buglass who has over 20 years’ experience in successful implant placement. In addition to Dr. Buglass’ superior reputation, ImplantPilot® has had extremely positive patient feedback. Our patients have found the technique less invasive and with a shorter surgery time, recovery has been faster and less distressing. Engineer Rob Lightfoot agrees, having been “initially concerned about an implant” he was apprehensive but “planning the actual implant location with such precision, and importantly placing it there was very impressive”. He affirms that “the entire implant process was completely pain free, and [he] could not be happier with the result”.